Ski companies spend a lot of money marketing their products and services, especially the higher ticket value items such as luxury ski chalets or snowboard instructor courses, however fail to adequately persuade visitors to give them their details so they can be nurtured into customers. The vast majority of website visitors will not make a purchase on their first visit and the reality is that most visitors will never come back to your site. If you’re investing money in ski marketing, i.e. SEO, content or PPC but not attempting to capture your potential customer’s details and market to them directly, you are losing money. According to Similar Web, Crystal receives an estimated 150,000 visitors a month (almost 4x the traffic of The Ski Club of Great Britain – soon to be of England & Wales with the referendum?!) with 47% of traffic coming from search engines. 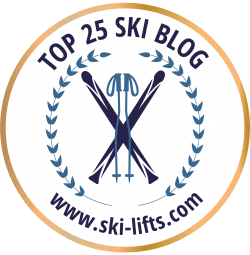 Crystal gets such huge visitors from search engines, as we’ve previously reported, due to the fact that it’s brand name is the highest volume ski search phrase in the UK and it also ranks #1 for “ski”. However there is currently no call-to-action on their homepage that captures people’s email address. As can be seen there are two (dashed red box) calls to action (CTA) with the main red ‘Take A Look’ button going through to an offer on lift passes and the green ‘Search’ button going through to a holiday search results page. If the visitor isn’t enticed by the offer or holiday package and leave, there will be no way (other than remarketing, showing Crystal Ski adverts on other sites around the web which can get a bit frustrating and creepy for the visitor) to connect with them again. It took me 6 steps through the booking process before I was asked for my contact details. In exchange for an email, Crystal state that they will send special offers, discounts and news however they could be getting far more subscribers by making it a more enticing offer. There is no instant or immediate value for someone to give their email address, which people increasingly guard online, such as a free ski guide or exciting download. The way to get this download is currently in a footer link called ‘Brochure Requests and Downloads‘ that the visitor has to find for themselves and no email address is required to download as there’s a direct link to the PDF. If Crystal were to make the Mountain Guide a CTA on it’s homepage they could offer the guide as a download in exchange for joining their newsletter which also sends through deals and offers etc. [The Guide would be what’s known as a ‘lead magnet’ in the internet marketing field]. Crystal could take the visitor to their existing download page with a range of guides to choose from and then using marketing automation software they would be able to track which subscriber has clicked on which link (as they could match with the email address already received). At the moment there is no way of knowing who downloads what. So for example if someone were to download the Austria Guide, there could be a series of email auto responders specifically on educating about the best Austrian resorts. Crystal could even track which resort or accommodation someone has shown most interest in and send them an automated and super targeted offer at a set time if the person had not purchased. This one-to-one marketing is only possible if you have the person’s email address. It should be apparent how lucrative it is to build an email list which leads people through a pre-built sales funnel. If only 1% of visitors downloaded the guide then, based on it’s traffic, Crystal would be receiving 1500 emails a month which is 18,000 a year! Outside of the one-on-one email marketing it could also broadcast to all new subscribers. If Crystal decided to send aggressively priced £500 all inclusive ski deals to 18,000 new subscribers and received a conservative 0.25% conversion rate (i.e. 1 in every 400 people bought) then it would make an additional £22,500 in revenue from sending just one email. But it would be far better to segment it’s subscribers into country and activity specific campaigns which would convert at a much higher percentage.